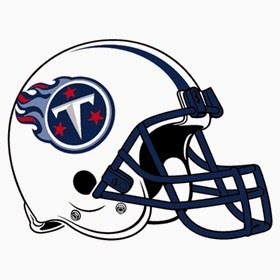 The Tennessee Titans face the Indianapolis Colts in a Week 4 NFL matchup, and there is a "very real" chance that Jake Locker does not play. He hasn't been great when has played, completing just 56.4% of his 101 pass attempts, leading the Titans to just 17 points over the last 2 weeks. Locker's throwing wrist is an issue and could lead to Charlie Whitehurst starting at QB. Whitehurst was drafted in 2006 and has attempted just 155 pass attempts for his career, throwing 3 touchdowns and 4 interceptions. Zach Mettenberger is also on the Titans roster, and the rookie could see some second half action, should Andrew Luck put the Colts up big. This is not great news for fantasy football owners, during a week with 6 teams on BYE. Kendall Wright, Justin Hunter and Delanie Walker all slide down weekly rankings, while running backs Shonn Greene and Bishop Sankey should see an increase in touches.